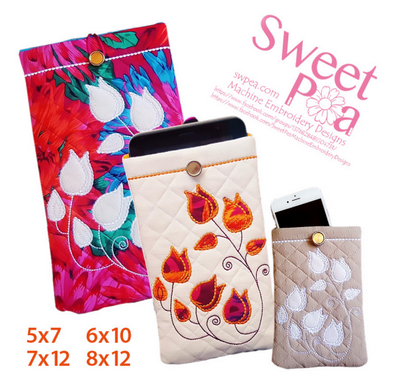 Use your embroidery machine to create a case to protect your phone or tablet in the hoop. There are 4 sized included to meet the needs of your personal gadgets. The tulip embroidery gives the case a bit of polished pizzaz. 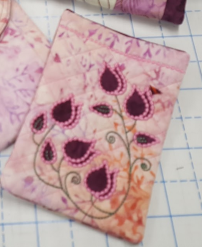 Coordinate your fabric choices with both the Sample Bag ITH project and the Wonderful Wallets ITH project and you'll have a matched set! Fabric B - Back of the glasses case. Fabric C - Lining of the glasses case. 1 button to match loop.